Drum sets come in many shapes, sizes, and materials. Every drummer makes careful choices when selecting layouts and instruments. This exhibit highlights the cooperation between many artists on the path to achieve unique aesthetic and technical goals. 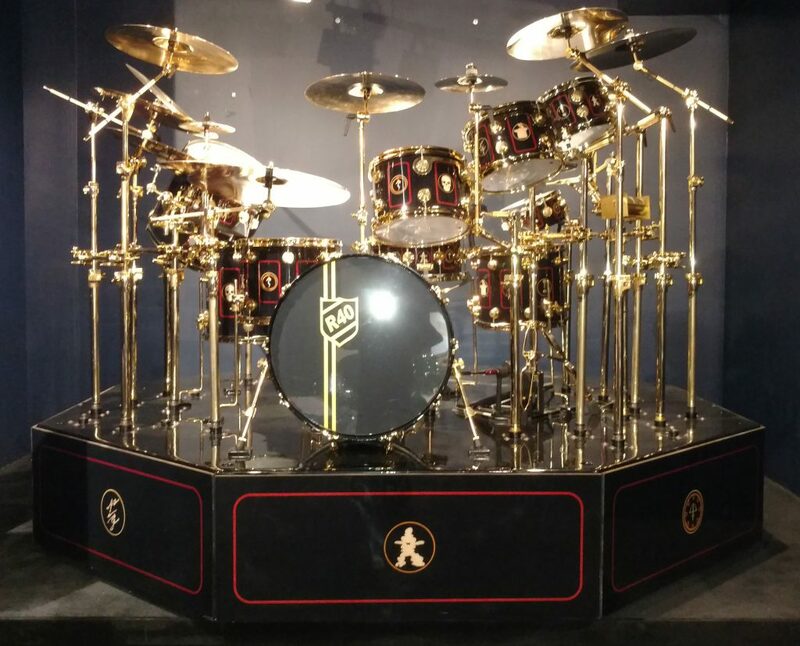 Discover drum sets used in performance by famous drummers, such as Rush’s Neil Peart and Lady Gaga’s Chris Johnson, on display through November 2019. Play on a variety of drum sets and learn how drummers customize their sets for the perfect sound. See how drum manufacturers throughout time have made instruments out of unique materials like wood, acrylic, and even LEGO bricks. Plus check out our companion display, “Legendary Drum Sets” with kits from Gene Krupa, Buddy Rich, and Louie Bellson.